Hi. 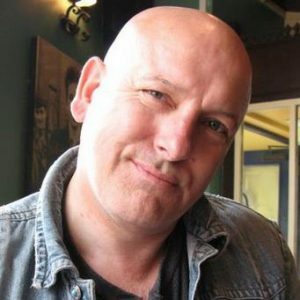 I'm the author and novelist, Tim Rees. At dinner parties, the one question I'm often asked is when did I first discover I could write? Does any writer discover they can write or is writing something we all start doing? For me, the moment I discovered books I wanted to tell my own stories. It really is as simple as that. I can't have been much good at it in those early years because I can only remember, when I would thrust my scrawly hand-written efforts under my parents noses, their hands tapping me lightly on the head as they murmered something like, "That's lovely, darling." Well, they were busy. We didn't have much money and they had three hungry mouths to feed. So the first time I remember thinking to myself, "Wow! I must be good at this!" was when I received my first and only A plus for an English homework assignment. One morning whilst on the school bus a pretty, freckle-faced girl sat next to me casually said she'd found the English essay hard to write. My mind froze in terror! I'd forgotten all about writing an essay on my view of heaven. We weren't a religious family and now I'm an atheist and resent the indoctrination that had been imposed upon my brain at such a young age, but on the bus that morning I quickly scratched out a four line poem that read: "Bells are ringing in the world above, Angels singing songs of love, Jesus sits at God's right hand, Watching over the mortal land." It's hardly the essay requested, but, as I said, the teacher gave me an A plus and I felt very pleased with myself. After that I wrote poetry at every opportunity and, as I'm Welsh, I dreamt of being the next Dylan Thomas. I never did become the next Dylan Thomas. I joined the army instead. 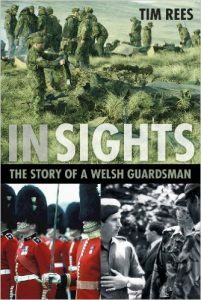 My life in the army became the memoir, In Sights: The Story Of A Welsh Guardsman, a book that was published by The History Press in 2013. In Sights came about due to a girlfriend's persistent demands I write the anecdotes I kept recounting down. The only memories I felt were marketable are my recollections of the Falklands war, so I sent a draft of my experiences to my agent, who promptly told me he wanted the story behind the story. In short, he wanted to know how I'd found myself in the theatre of war. So, my girlfriend got her way and I ended up writing all those anecdotes down. The book begins with day one of signing up to the end of the Falklands war and in between I tell about the time I stepped on Princess Diana's toe and the time I found myself in the Queen's bedroom. I tell of my days in Berlin guarding Rudolf Hess and my memories of marching down the Mall to the music of the military bands and I tell the story about showing off to girls as I strode into Buckingham Palace after a night on the town. And I also tell about the greatest day of my life when I walked along a dry river bed seeking out the wildlife in Kenya. I was unarmed and alone. I realise now it was very dangerous, but after a regular diet of Tarzan books in my teenage years, it was intensely thrilling. After the army I joined the BBC Wales Film Unit as an assistant cameraman. Almost as soon as I stepped through the reception doors of Broadcasting House, the BBC's head of drama in Wales, John Hefin, asked me if I'd consider making a film with him about my experiences in the Falklands war. The result was broadcast as The Play For Today, Mimosa Boys. It was whilst working on Mimosa Boys I really learned to write. Ewart Alexander wrote the screenplay and I worked closely with him on details and dialogue. It was a wonderful period when I found myself surrounded by creative individuals, many of whom were among the very best in their chosen field and, to my naive amazement, I fitted in perfectly. I went on to make many more dramas and films for the BBC. Top producers were phoning me almost daily requesting my services on this play or that film. I was usually a military adviser and reworked dialogue and scenes to be more realistic. Of course the film unit wanted me back as an assistant cameraman, the role for which I was receiving a monthly salary, although I'd hardly spent any time behind the camera as a cameraman's assistant. I finished my BBC career working with BAFTA and Emmy award winning director Norman Stone on the film New World, starring James Fox and Bernard Hill. I'd met Norman whilst he was editing the BAFTA award winning Shadowlands. We struck up a friendship and I worked on New World as a member of the film crew. I left the BBC to focus on my own writing. Friends and family were aghast I could walk out on such a great career, but, now my creative juices had matured and were in full flow. I needed to write my own material. But alas, I spent years in the literary wilderness. I did manage to write bits and pieces, but earning money and a string of girlfriends meant I was in a permanent state of distraction. I did have some literary success. I won a short story competition and I wrote another short story that was commissioned by the BBC as part of an arts series. But I really wanted to write the big screenplay. When I did find the space and peace to write the big screenplay it ended up being the novel Raw Nerve. At this time I'm a single guy living in rural Wales and had pretty much opted out of the rat race. The idea for Raw Nerve came to me when I asked myself the question: Why didn't Colin Powel run for the White House? And upon that question I began to write and the story unfolded. The first scene was originally written in script form, but I quickly realised this was a story I wanted cemented onto a page before I let producers, directors and actors loose on it. During my time in the BBC I'd been one of the people who set about rewriting a script the moment it was received. The rewrites could be for many reasons, with budget consideration being top of the list. I knew immediately this was a film that would demand a big budget, so it seemed sensible to write the novel first. A successful novel could attract a big budget and I was thinking Hollywood. Yes, I've always been ambitious. If you're going to reach for something, it may as well be a star. 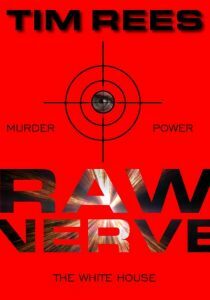 During writing Raw Nerve I learned that writing a novel isn't that different to writing a script. As I've already mentioned, once a producer has commissioned a script it gets reworked by the director and producer and possibly a script editor. Very quickly into writing the novel I learned I had to work with characters who had their own ideas about the story "they" wanted to tell. I remember on one particularly memorable occasion Gideon, the main protagonist, did something that changed my plot. "Hey!" I shouted out loud. "You can't do that!" Gideon turned to me and snarled angrily, "Shut up and just keep up." That is the moment I learned I had to take a back seat and allow the characters to explore the stage I'd set. So now, even though I generally write thrillers, all my novels are character driven. Upon completing Raw Nerve, I sat my father down in front of the ream of paper that was the manuscript and asked for his opinion. He took almost a week to read it and refused to make any comment until he'd finished. I was a nervous wreck during that week. When he did finally turn the last page, he simply said, "That's excellent. Now get it published." Okay, I could go on forever about how enthusiastically Raw Nerve was received by the traditional publishing industry in New York. It really is a long story... Suffice to say Raw Nerve wasn't published. One vice-president of one of the major publishing houses accused me of stretching credulity to breaking point and beyond, and a president of another publisher pulled the plug on Raw Nerve because she couldn't have her company associated with riots in the streets. I believe they were referring to my suggestion America would ever have a black president. And it really wasn't that long after this debacle that Barack Obama arrived on the scene. But Raw Nerve wasn't published. I did self-publish in 2012, but that was for a very short period. I wasn't happy with the format of the paperback copy my sister bought and so I unpublished pretty damn quickly. Recently I have republished Raw Nerve, but this was only after I'd self-published Delphian and learned that indie publishing had grown up... Considerably. Raw Nerve not being published knocked me sideways. 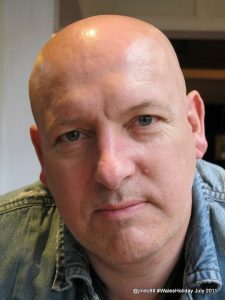 It was and is a great story and I knew that, so the outcome was I lost confidence in the publishing industry as a whole. Raw Nerve was perceived to be controversial, I get that, but, in my opinion, an industry in the creative arts has to embrace controversy. It is my opinion that a business pursuing an original creative product that is afraid to take risks declares itself redundant. That remains my position. After the storm around Raw Nerve had subsided, I met a woman and again disappeared from the literary scene. She had children, so it was for a prolonged period. I re-emerged with In Sights, but you've already heard that story. Writing In Sights was always intended as a stepping-stone into the publishing industry. On one hand I'm amazed at the success of In Sights, which really is just a very short and small period of my life, and on the other hand I'm appreciative at the stunning opportunities that experience has offered me. That whole period was pretty awesome, but then again, so was the time I spent with the BBC. But it taught me that, like a book, life is a series of chapters and at the end of each chapter you begin with a clean page. And the next chapter for me was a determination to write another novel. It was the novel I titled Delphian. 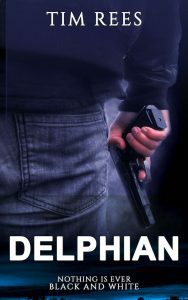 I loved writing Delphian. It's a novel I set in Wales at a location I know well. The main protagonist, Vincent, is certainly my alta-ego. In Delphian I wanted to expose the hypocrisy that is vivisection, yet I accept the argument that if I had a child dying of cancer I would be desperate for a cure. 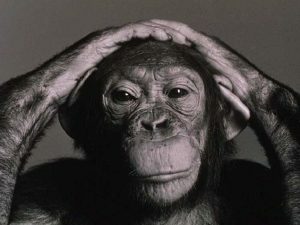 Thus the story begins with someone's child being used as a vivisection subject. The idiosyncratic characters that people the story add layers of colour and sub-plot threads that emerged so naturally. The characters really did write Delphian, not me. I finished the book on one hundred and seventy thousand words. Author tim@lifeisart.co.ukPosted on 25th October 2016 27th December 2016 1 Comment on Publishing: A Risky Business? Writing a novel is a form of insanity. The novelist sits alone for hours on end playing with imaginary friends. When a person goes to a medical professional complaining of voices in their head, they are diagnosed and medicated. But for the writer there is no cure from the addiction that is writing fiction. Yes, I'm a novelist and I spend the vast majority of my time in imaginary places with imaginary people, some of whom I consider friends and others not so much. No, it is not reality, but during the period of writing the story, the more real it is to me, the more believable I can make it for the readers. When I'm in what I call 'the zone', I am completely unaware of the reality that is the material world of flesh, blood and other matter. In 'the zone' I'm completely immersed in my imagination. And, strangely, in 'the zone' is when I feel most alive. And this is why writing novels, for me anyway, is addictive. Some authors carefully plot each movement the characters make before fleshing out the scene with the narrative and dialogue. That is what I would refer to as a plot driven story. Many thriller writers employ this method. Although I like writing a thriller, my stories are character driven, which means the characters are making the decisions as to how the story unfolds. I simply write what I see happening. Yes, I have a say in what happens. 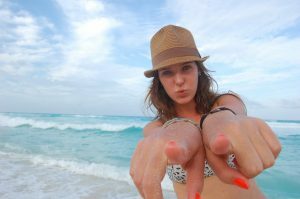 I'm the one that sets the stage, but it is the characters that people the stage who write the story, because it is their interactions that dictate what happens next. I watch it all as if I'm watching a movie in my head, a movie I can rewind as much as I like. For me, this process makes writing effortless. When I explain this, people invariably say to me, "But you create the characters to play specific roles?" My answer is always that I create the main protagonists initially, but the characters I create very quickly evolve into their own selves. And they do change from the character I had initially intended them to be. Other characters walk into the story as and when they are needed. I meet these characters for the first time in very much the same way I meet strangers in real life. These characters walk into the story complete and speak for themselves and I get to know them through their interactions with others and their dialogue, just as the reader will get to know them. Author tim@lifeisart.co.ukPosted on 18th October 2016 22nd October 2016 17 Comments on A Wonderful Addiction! Tammy on A Wonderful Addiction! Terrence Aalbers on A Wonderful Addiction! 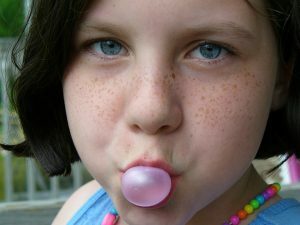 Mickey Denenberg on A Wonderful Addiction! Wilbur on A Wonderful Addiction! Ladonna on A Wonderful Addiction!